The Shooter is the ultimate 2 -3 person gun blind. It has two large front and two large side windows, providing maximum shooting field visibility. The blind features shelving complete with gun holders underneath the windows on 3 sides of the blind and 4 corner shelves on the backside of blind to store all the gear and accessories a hunter might need. 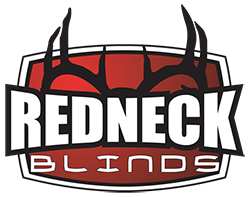 Every Redneck Blind features 100% fiberglass construction with gel coat finish and fiberglass bottom making the blind virtually maintenance free. All Redneck Blinds feature marine carpeted lower walls and floors for comfort and sound control. The windows in all Redneck blinds are made from tinted tempered automotive glass with whisper quiet hinges to give the hunter every advantage when taking that trophy shot. Redneck Blinds incorporate deluxe automotive window gaskets creating industries tightest window design to keep the blinds dry and bug free. 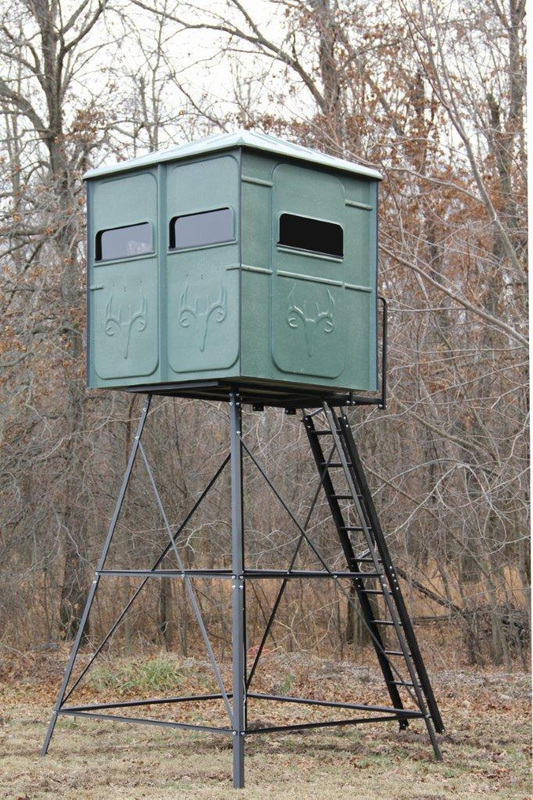 Redneck Blinds also has a line of high quality sturdy powder coated tower stands available in 5ft, 8ft, 10ft and 15ft heights to go with its blinds to create the ultimate unit for a lifetime of hunting enjoyment and memories.